An interscalene nerve block is a form of local anesthetic used prior to shoulder surgery. This anesthetic is applied to specific nerves within the shoulder by an anesthesiologist using a thin needle. Immediately after interscalene nerve block application, a treated patient's shoulder and arm begins feeling heavy and numb. A surgeon can then perform shoulder surgery and the treated patient will not feel pain or discomfort during this procedure. Patients should discuss the potential complications of an interscalene nerve block with a doctor before having shoulder surgery. Patients who receive an interscalene nerve block before shoulder surgery can develop breathing complications, explains Dr. Stephen Breneman with the American Association of Orthopaedic Surgeons. Affected patients can experience shortness of breath or may have difficulty inhaling deeply. This complication of an interscalene nerve block can occur if this anesthetic numbs a portion of a patient's diaphragm, the large muscle involved in lung expansion and contraction. Rarely, a lung may be punctured during interscalene nerve block administration. If this occurs, affected patients can experience severe breathing difficulties that require prompt medical attention. Approximately 15 percent of patients experience vocal hoarseness or difficulty swallowing as complications of an interscalene nerve block for shoulder surgery, ShoulderDoc medical professionals report. Administration of the interscalene nerve block can numb a patient's vocal box, which can cause her voice to sound unusually quiet, raspy or rough. Numbness within the throat following interscalene nerve block treatment can limit a patient's ability to voluntarily swallow. These complications of an interscalene nerve block are typically temporary and subside once this anesthetic medication wears off. Rarely, patients who receive an interscalene nerve block can develop seizure complications. Approximately 0.3 percent of patients treated with interscalene block prior to shoulder surgery developed seizure complications, reports Dr. Hector Herrera and colleagues in a February 2009 article published in "The Internet Journal of Anesthesiology." Certain patients may also develop heart rate abnormalities following interscalene nerve block administration. These complications most frequently occur if the interscalene nerve block is inadvertently injected into a patient's bloodstream. Infrequently, patients can experience unusual bleeding, infection or bruising complications after receiving an interscalene nerve block. 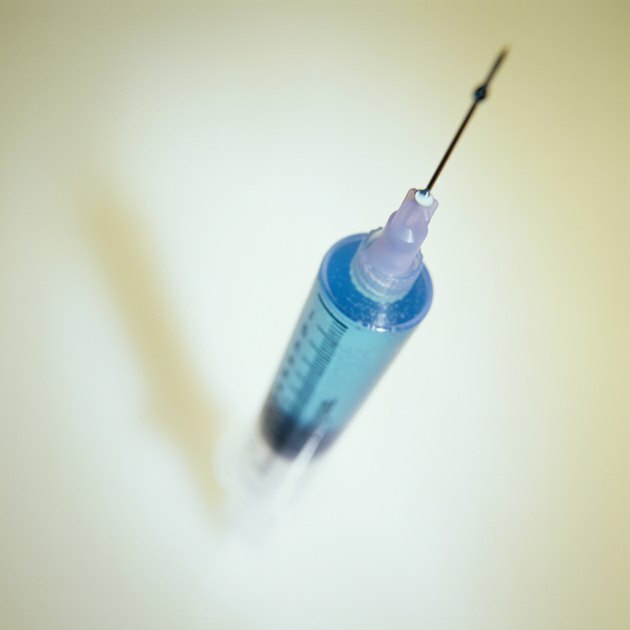 Such complications typically arise at the site of injection and may require additional medical treatment to resolve. Permanent nerve damage complications following interscalene nerve block are extremely rare, affecting approximately one in 10,000 treated patients, Breneman reports. Affected patients can experience chronic sensations of numbness, tingling or weakness within the treated shoulder or arm.